An onscreen keyboard can be a powerful tool for screencasters. 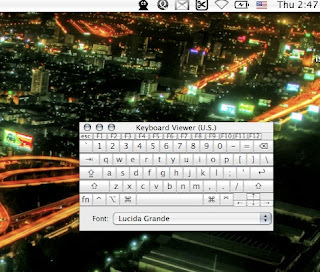 This tutorial will show you how to turn on the onscreen keyboard that OS X has built in. 4. Select the "Keyboard Viewer"
5. 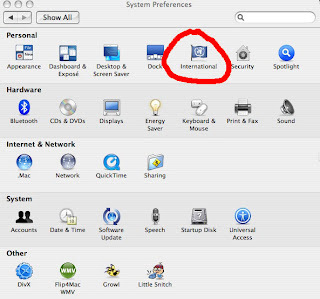 You now should have an American flag in your menu bar. Click on the American flag and select "Show Keyboard Viewer"
You now should have a keyboard on your desktop that displays whatever your press on your keyboard. Quick, easy, free! 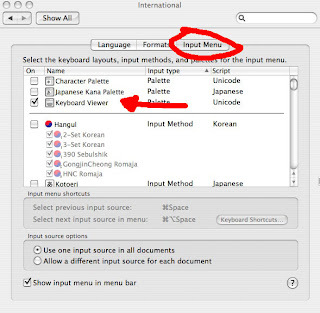 *If you click the plus arrow in the upper left hand corner of the keyboard it makes it much larger.